Last week was brutal. I went 0-3 on my picks with a couple of tough losses. I took the Panthers -7 against the Giants, and then watched the Panthers take an 11-point lead in the fourth quarter, and when Eli Manning threw an interception on the next drive from his 26-yard line, I thought I was good. Unfortunately, that turnover was quickly followed by Cam Newton throwing a pick that Janoris Jenkins returned into Panthers territory. The Giants scored a few plays later, and I watched my cover dwindle. As bad as that was, however, the killer took place in Cincinnati. I had the Dolphins +4.5, and Miami had a 17-0 lead in the second half. I was golden! At least, I thought I was. Two defensive touchdowns and a 24-point fourth quarter later the Dolphins lost 27-17. It sucked. Hard. But, we move on and look to leave the nightmares behind us this week. Maybe I’m just a glutton for punishment, or perhaps I’m just not letting an awful beat scare me off an excellent opportunity here. 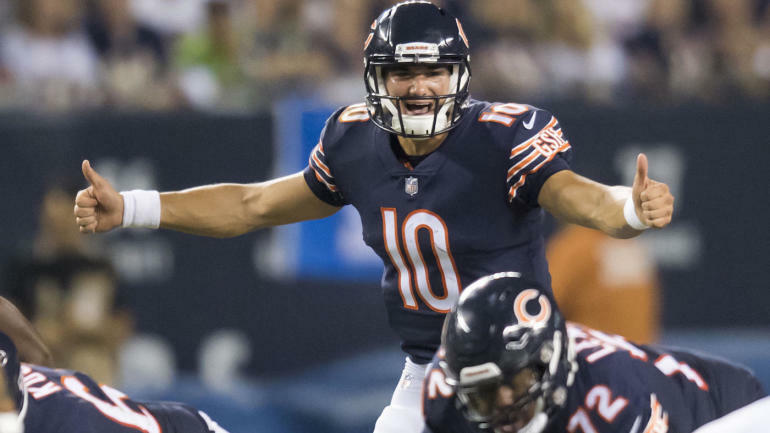 The last we saw the Bears Mitch Trubisky was throwing six touchdowns as they torched the Buccaneers, 48-10, in Chicago. Now the Bears are coming off a bye and heading down to South Beach, and it’s possible Trubisky, and the Bears offense have taken a considerable step forward. Much like I’m not willing to trust Trubisky as a road favorite, I’m not ready to believe in Blake Bortles, either. He’s been worse on the road throughout his career. At home, Bortles has a TD rate of 4.14 percent and an interception rate of 2.81 percent. On the road, the TD rate drops to 3.88 percent, and the interception rate jumps to 3.02 percent. Baltimore Ravens at Tennessee Titans: The Titans will host the Ravens on Sunday afternoon, and the Ravens are favored by 2.5 points with the total set at 41. To see what play I’m making on this game, head over to my SportsLine page.